CMI Toyota are proud to support George Gutierrez during the 2018 Toyota 86 Racing Series! 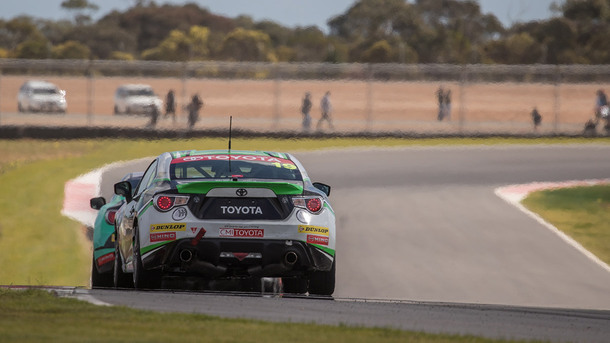 South Australian racer George Gutierrez enjoyed a fantastic weekend on home turf with top ten results in the Toyota 86 Racing Series at The Bend Motorsport Park. 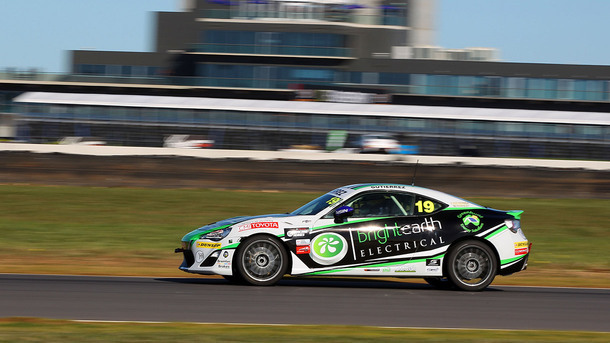 For the first time in his inaugural national-level campaign, Gutierrez enjoyed the slightest of advantages in the highly competitive Toyota 86 Racing Series field, with prior experience on the brand new race track at Tailem Bend in the lead up to the event. The Adelaide based driver took full advantage of that experience to be on the pace early in practice sitting inside the top ten drivers on the timesheets early in the weekend. Unfortunately, traffic in the large field of 36 Toyota's caused Gutierrez to be held up in qualifying, only able to set the 14th fastest time after his early sectors times indicated a position well inside the top ten was on the cards. "I got caught up in traffic on our last flyer which should have put us inside the top eight," said Gutierrez after qualifying. Chaos at the start of the opening race caught the South Australian out and dropped him down the order to 19th in the early stages of the race. However, he fought back, moving his way back up the order to end Saturday mornings race in 13th. Gutierrez again continued to show his ability with forward progress throughout the remaining two races to earn a 9th and 6th, after dicing with the leaders in the final race of the weekend. "The first race was a bit wild, but we salvaged a result," said Gutierrez at the end of the event. "Race 2 was much better, the team did an awesome job to tune the old girl up and we finished Saturday with a ninth place!" "Sunday was even more promising! A sixth place for our little team is a mega achievement for us at our home event! Particularly with such a competitive field of drivers." "Best of all we moved up to ninth in the Toyota 86 Racing Series championship standings!" The team now has a quick turn around the get their Toyota 86 race car prepared for the next round of the series at the historic Sandown Raceway in Melbourne in just three weeks time, alongside the Virgin Australia Supercars Championship. 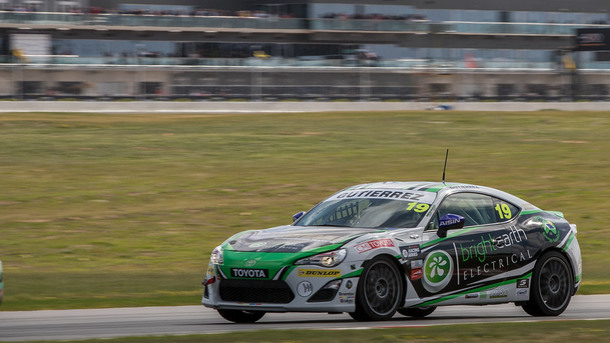 “CMI Toyota, South Australia’s number 1 Toyota Dealer, is proud to support George Gutierrez and his motorsport team as they compete in the 2018 Toyota 86 Racing Series." said Adam McCallum, CMI Toyota Adelaide Branch Manager.